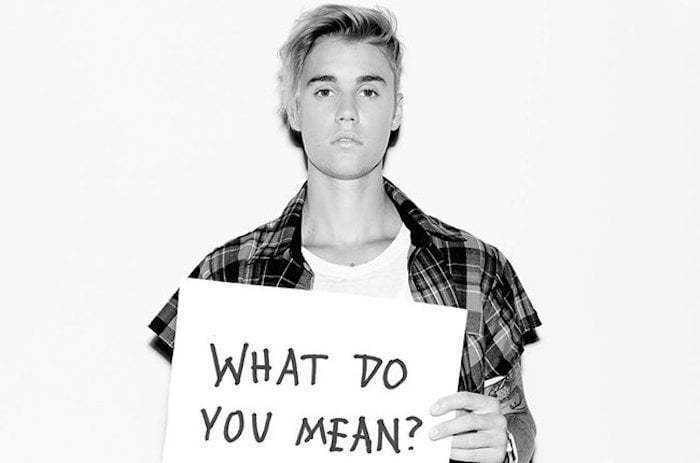 Justin Bieber new song “What Do You Mean?” debut at No. 1 on Billboard Hot 100 chart. The feel good single became the 23rd song in history to debut at the top of the chart after selling 337,000 units in its first week of release. The song also marks Bieber’s first ever No. 1 song on the Billboard Hot 100 chart. His 2012 single “Boyfriend” peaked at No. 2 on the chart. Justin Bieber performed the single “What Do You Mean?” on last month’s MTV Video Music Awards which likely helped propelled sales of the song. The Canadian pop star has also released the official music video which has been getting a lot of views on YouTube. “I’m happy to see Justin doing what he does best: music,” says Scooter Braun who manages Justin Bieber. “I am thrilled for Justin, who put so much heart, soul and hard work into creating and launching this song,” adds Steve Bartels, Def Jam CEO added, according to Billboard.